Condo seekers who want to live at the top of Montreal need to act fast: if they want to call the city’s tallest residential tower home, preconstruction pricing will end soon. On Saturday November 16th and Sunday November 17th, Broccolini and Carttera Private Equities will be holding a special event and offering L’Avenue purchasers these low prices for the final time. Swing by the sales centre at Avenue de Canadiens and de la Montagne between 1 and 4 pm to get in on the offer. 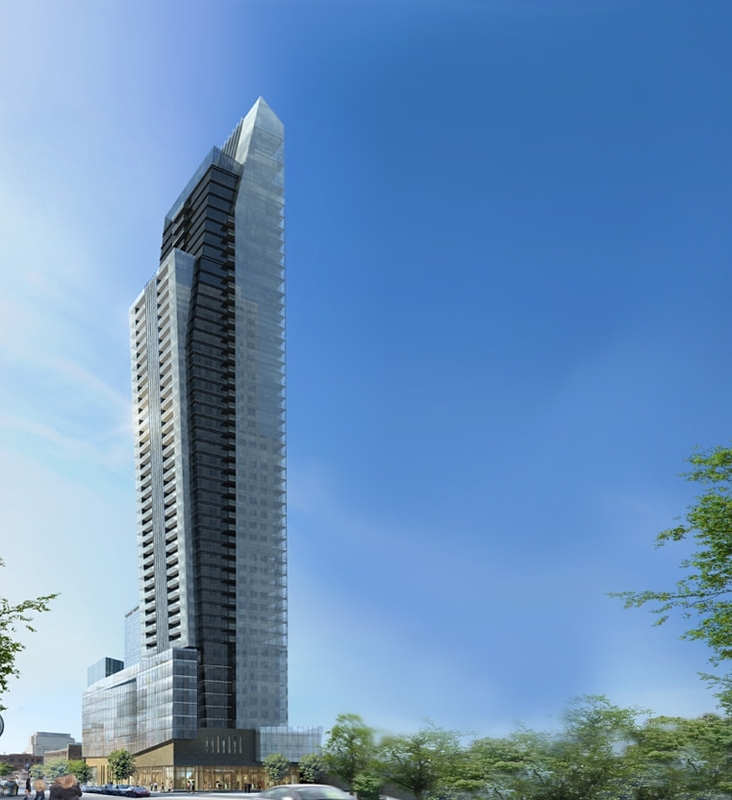 Already 75 per cent sold, the 50-storey project is situated in the downtown right down the street from the Bell Centre. Among the many neighbourhood amenities, the building itself will have a brand new 25,000-square-foot Provigo at street level for maximum convenience. Other area perks include easy transit access to the nearby Bonaventure and Guy-Concordia Metro stations. Plus the location is in one of the most pedestrian-friendly parts of the city, meaning you’ll always be strolling distances to whatever you need, whether it’s boutiques, bars or bakeries. Designed by IBI Group and Page + Steele, the 325-unit structure will be equipped with both an indoor and outdoor pool, a private terrace for al fresco entertaining and a fitness centre with sweeping city views. Inside, residents will enjoy interiors that emphasize open spaces and clean lines. 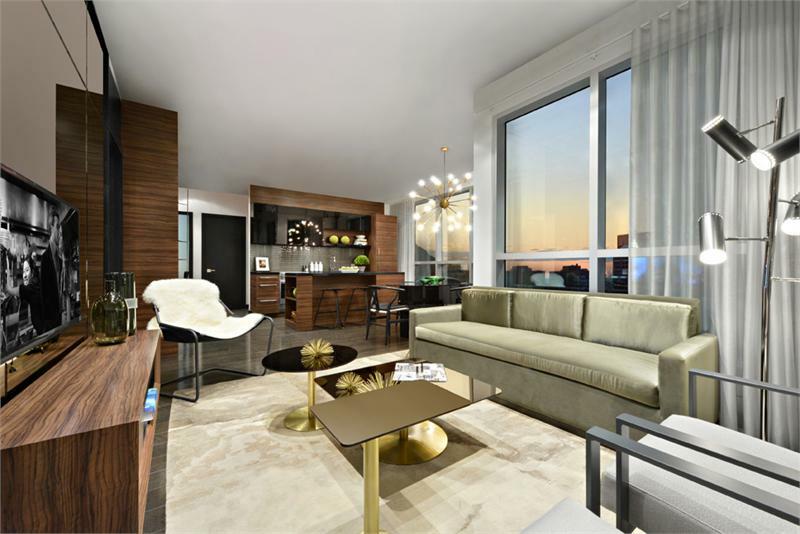 Suites feature 9-foot ceilings, contemporary kitchens with European-inspired cabinets, stone countertops and stainless steel appliances. Other top-notch finishes include custom-designed bathrooms with engineered stone countertops and designer-styled light fixtures.